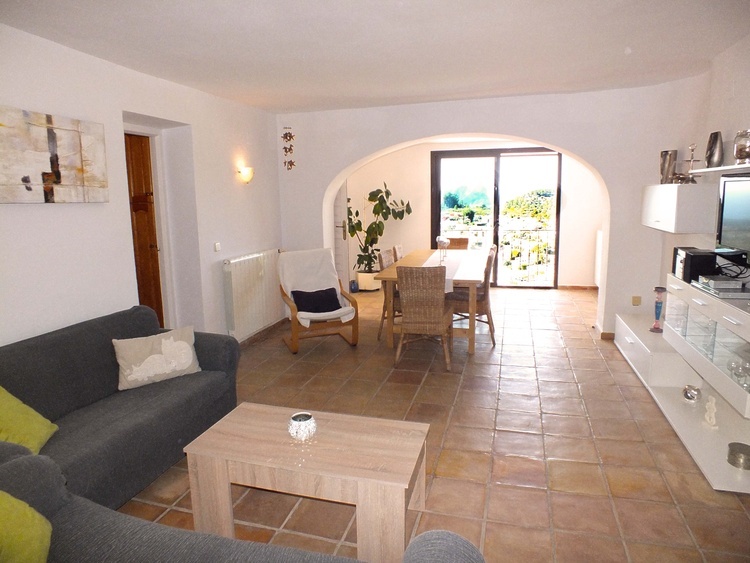 Beautiful, bright and comfortable apartment with 120 m². 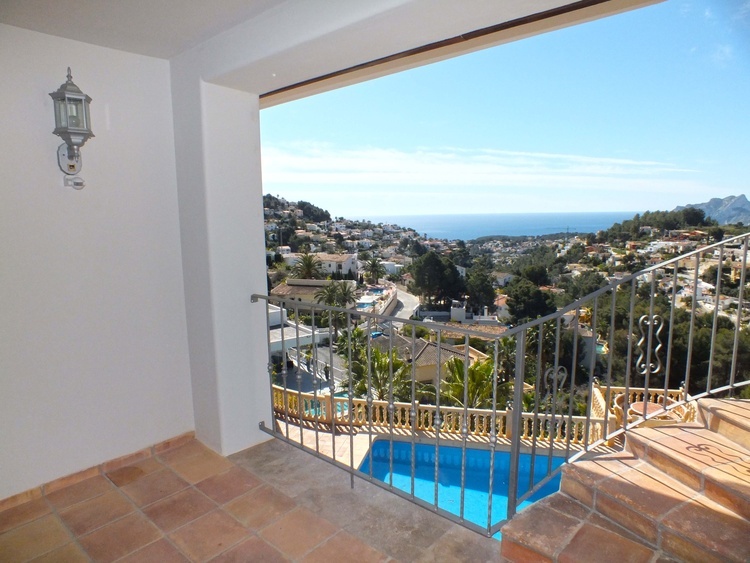 Fantastic sea views and panoramic views, 4 bedrooms, 2 bathrooms with shower, kitchen, living-dining room, terrace, Internet. 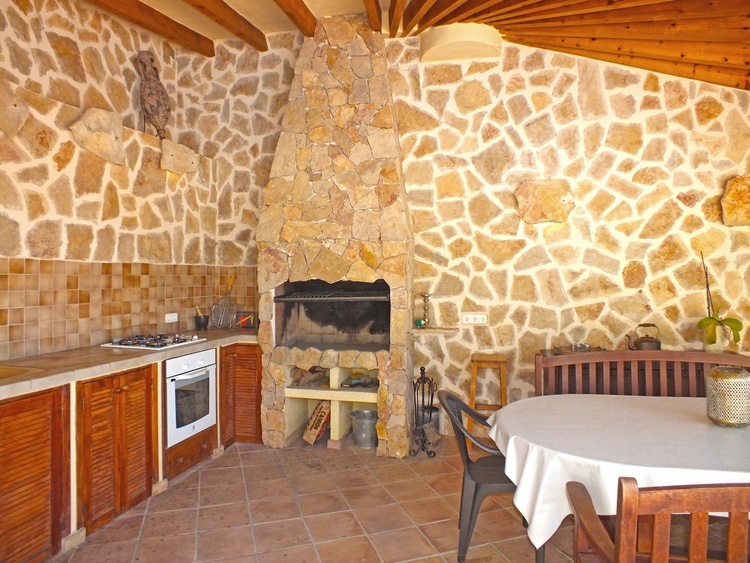 Mediterranean garden, large pool, BBQ house with summer kitchen and grill. 03720, Europe, Spain, Valencia ,Benissa. 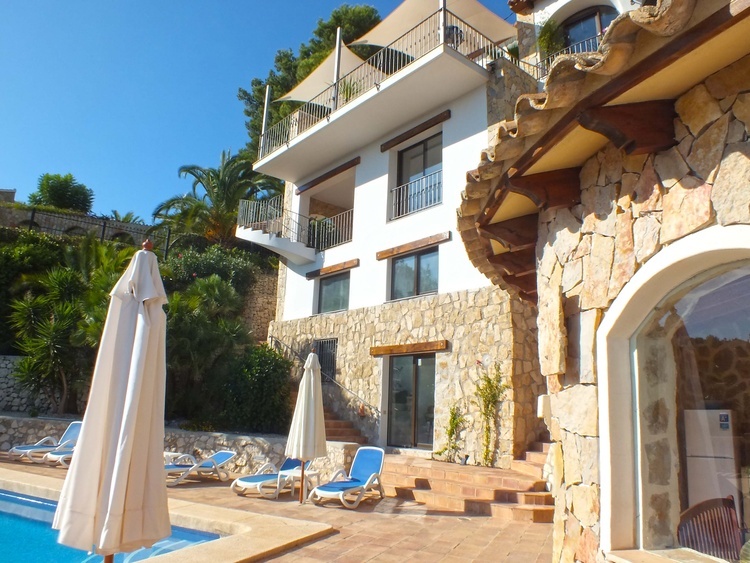 The spacious apartment with stunning sea views is located in a large villa on a south-facing plot of 1300 m² with very well-kept Mediterranean garden with many large palm trees, fruit trees and flowering plants. The apartment has its own entrance to the pool and sea side. In the upper part of the villa, with entrance to the other side, live the owners. Pool and barbecue house with summer kitchen will be used only used by the holiday guests. The apartment has 4 bedrooms, 2 of them with double beds (180x200 cm) and the other two with 2 single beds. Two bathrooms with shower, a covered terrace with fantastic views, kitchen and spacious living-dining room with satellite TV, DVD player, radio-CD, internet for free. 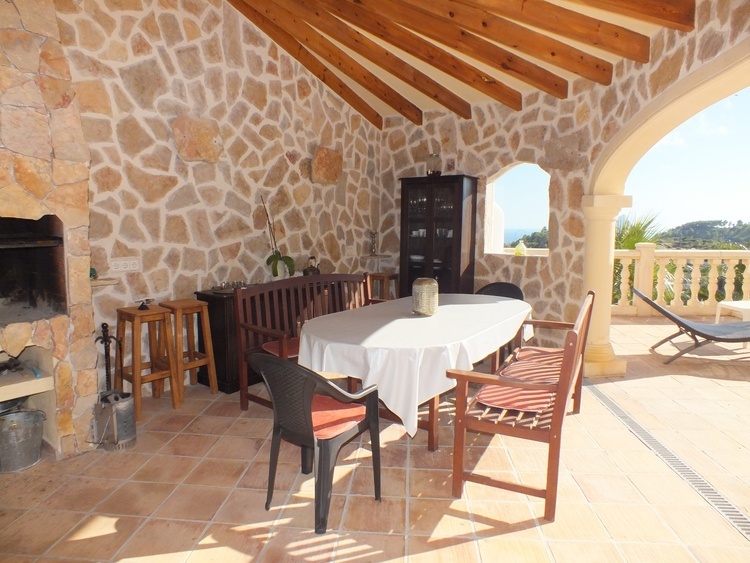 Pool terrace with many sun loungers and sunshades and pool (10x5 m), outdoor shower, lovely barbecue house with summer kitchen and grill. The Villa Pegasus is located in the green hills of Benissa in the well-kept urbanization Montemar, where many owners live all year-round. Benissa is in the middle of Moraira and Calpe. 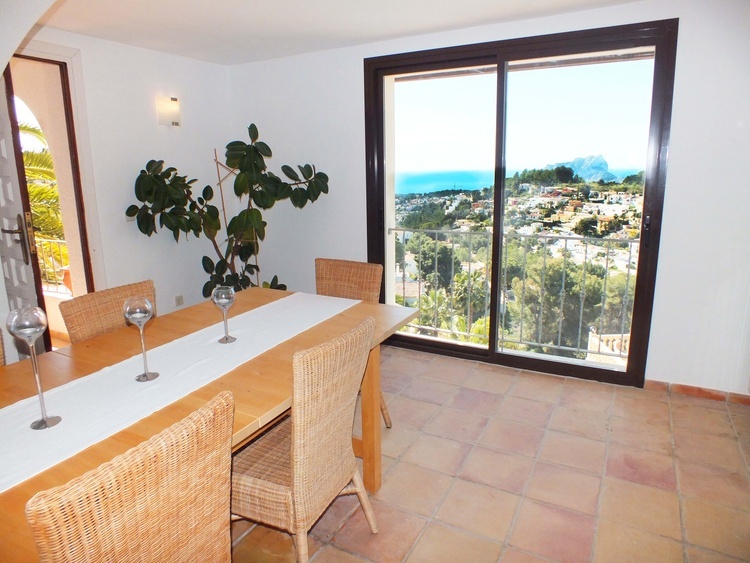 Due to its central location, Calpe and Moraira are equally within easy reach. 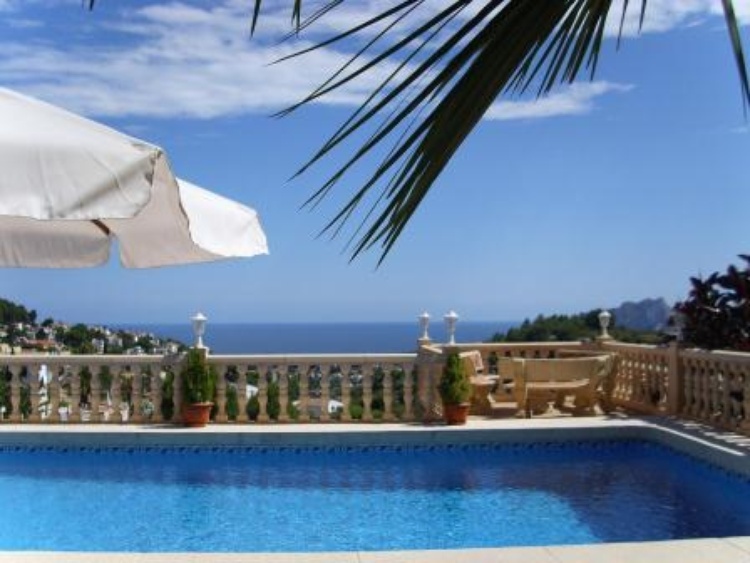 In Benissa, Moraira and Calpe you will find many beautiful beaches and coves, restaurants, cozy bars and cafes, evening entertainment, supermarkets, shops, weekly markets, etc. Three hundred meters from the villa, there are 2 restaurants and about 500 meters away a small supermarket. The center of Moraira can be reached in about 7 minutes. Moraira, a formerly small fishing village, is today one of the most exclusive places on the Costa Blanca. Despite the increased population Moraira has retained its original charm. 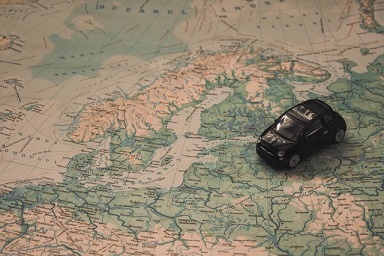 The owners will be glad to give tips on the many excursion possibilities.